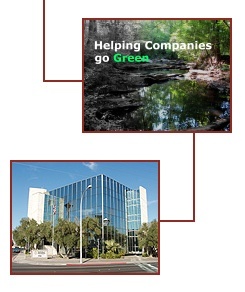 Through the application of AAM products, CCS has automated many buildings in the Las Vegas area. We have installed AAM products to help modernize casinos, churches, campuses, medical facilities, corporate centers, office complexes, government buildings, and large upscale homes. In these installations, we have provided our customers energy management, digital temperature control, equipment and customized applications. The flexibility of the product line allows us to not only provide the typical temperature control application, but also customize these installations to provide an exact match to the customer’s requests. Lighting, irrigation, central plant control, security, equipment monitoring, and/or coffee pot control can be exactly designed to your desires. For buildings that are temperature sensitive, AAM provides a means of continually monitoring these areas. In the event of a detected temperature or equipment problem, the system will call a designated number(s) and leave a voice message. This helps eliminate problems in computer centers, food storage areas, process control, and other sensitive areas. With the AutoPilot graphical software option, the finished product is very simple to monitor and adjust. Instead of needing to wade through menus to control your building, you simply look at pictures and click on setting changes desired. It is kind of like watching a movie versus reading the book approach to managing your building.